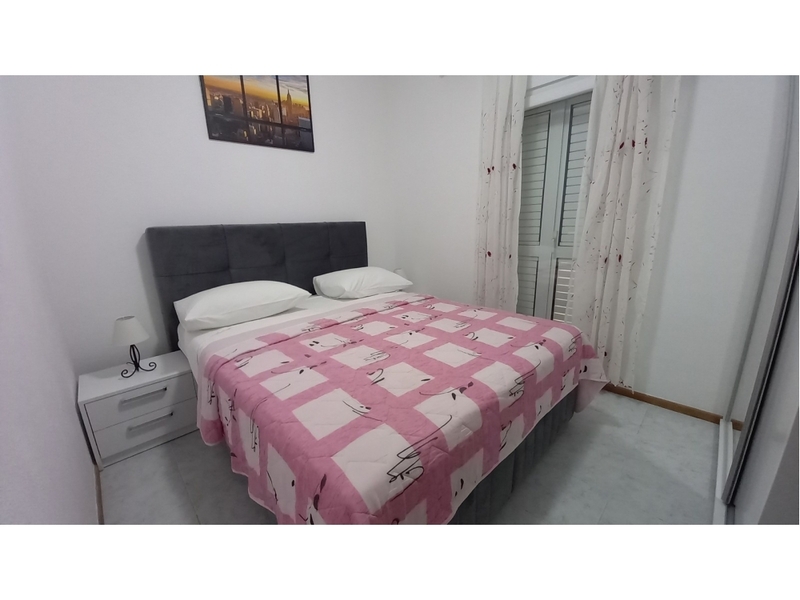 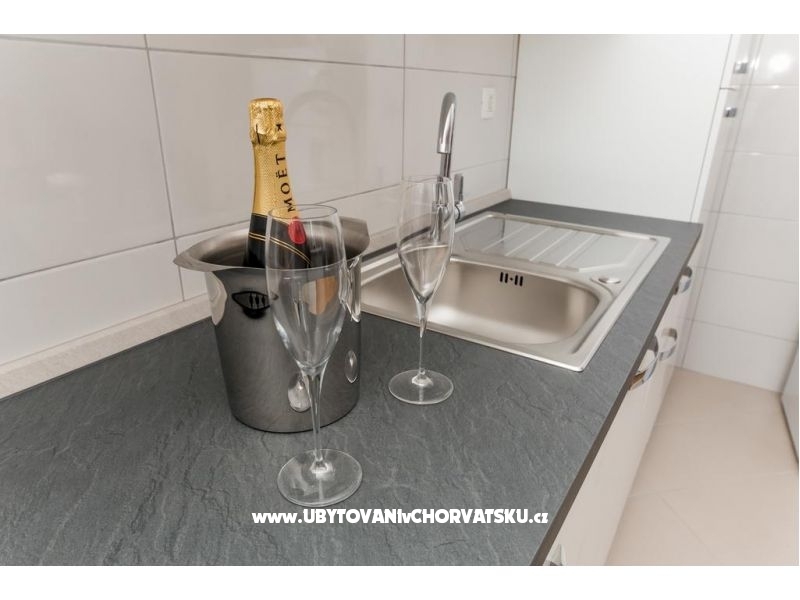 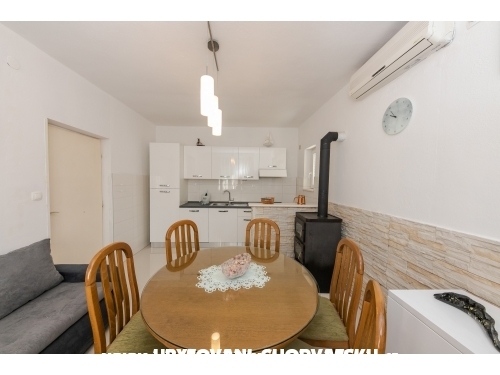 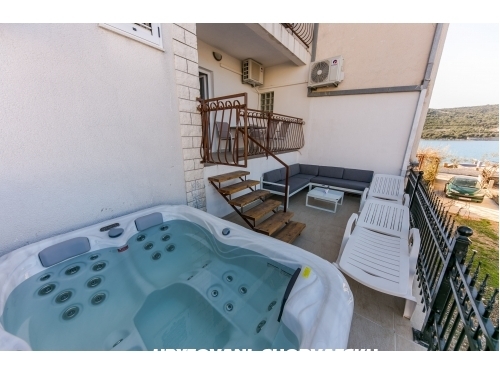 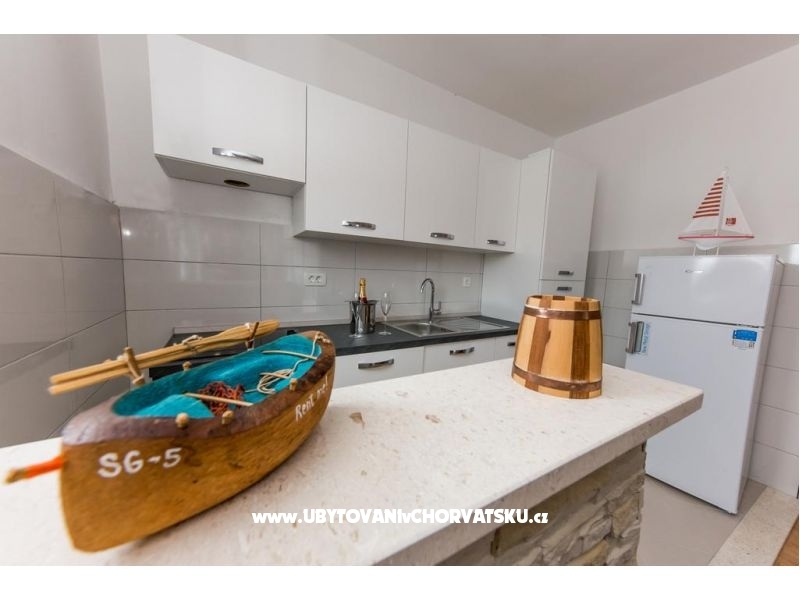 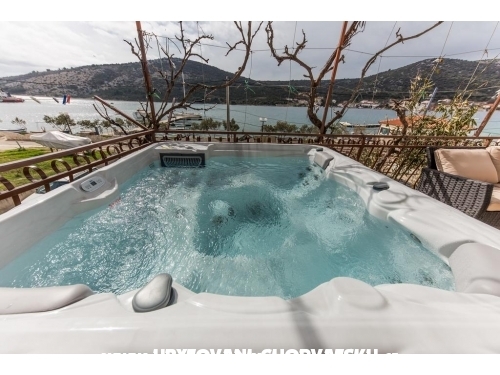 "App(7)" - Apartment ( 7 ) with outdoor jacuzzi: 3 bedrooms, 2 bathrooms, kitchen, living room with TV SAT and big terrace with jacuzzi. 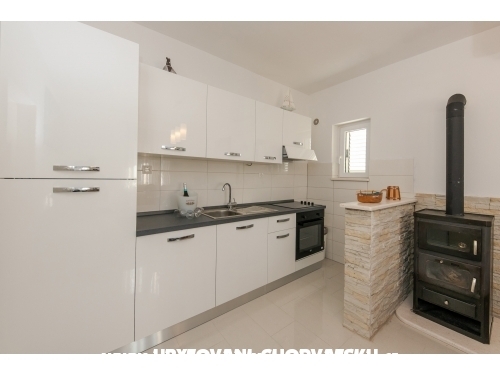 New renovated. 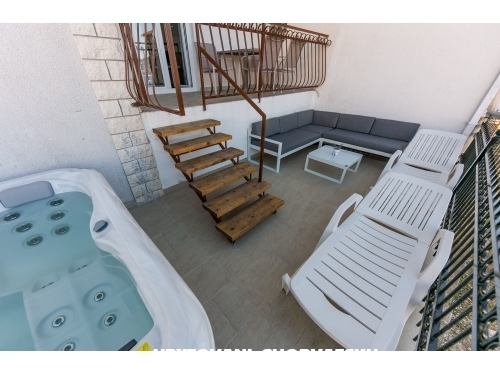 "App( 4 )" - Apartment ( 4 ) with huge terrace and jacuzzi: 2 bedrooms, kitchen, bathroom and big terrace with jacuzzi. 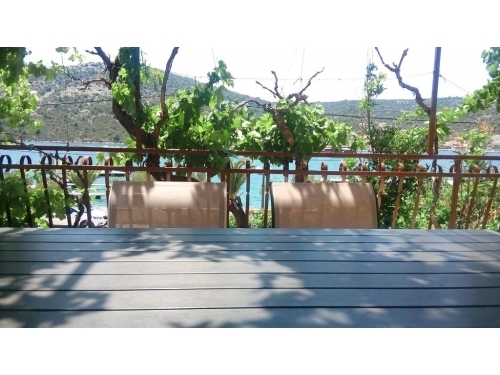 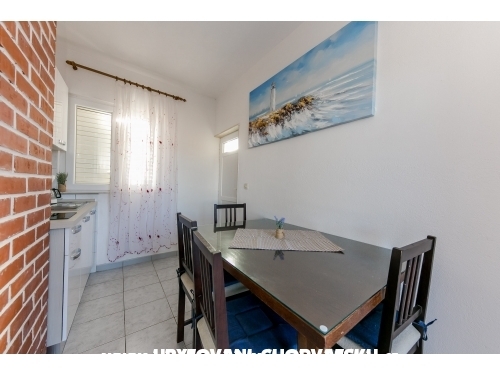 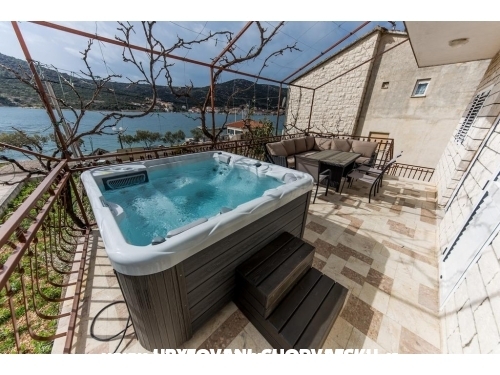 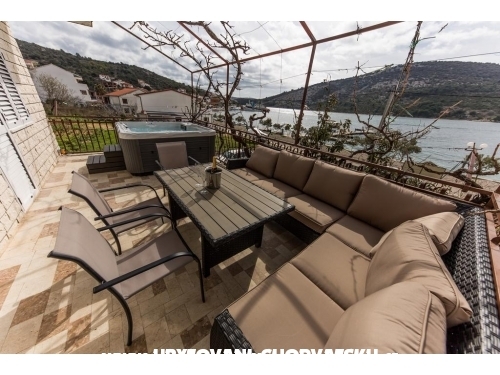 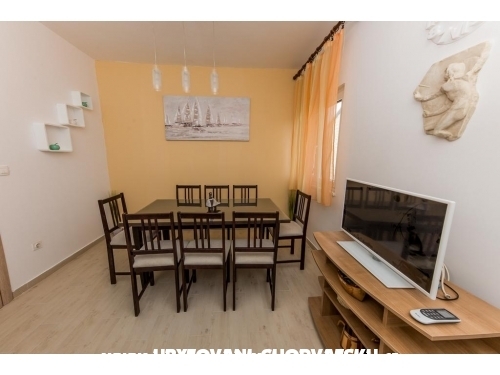 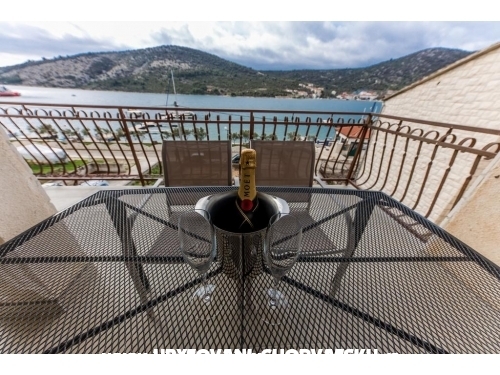 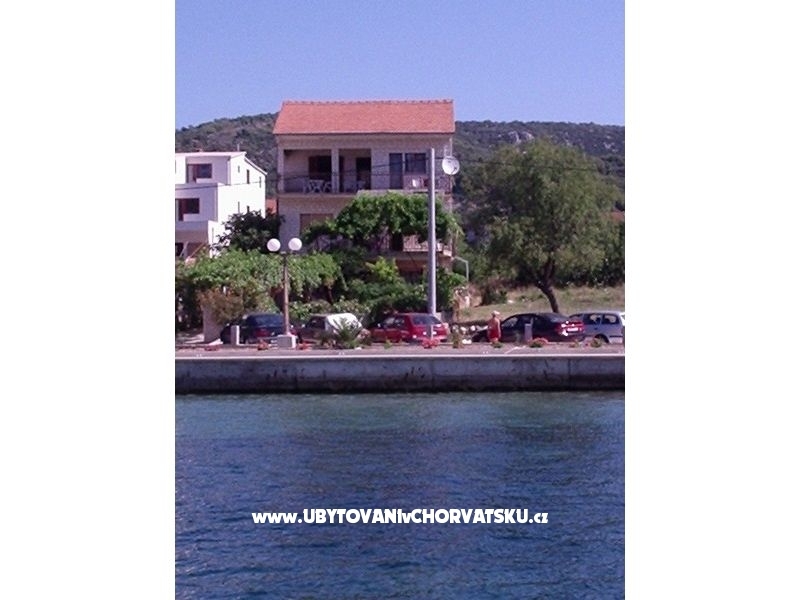 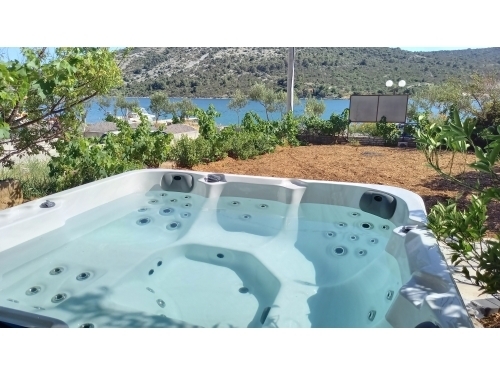 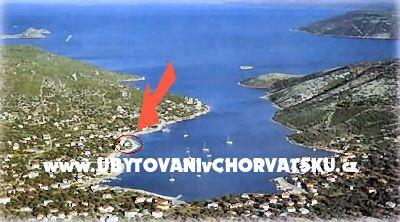 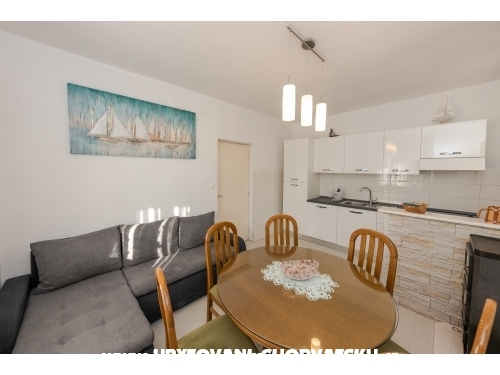 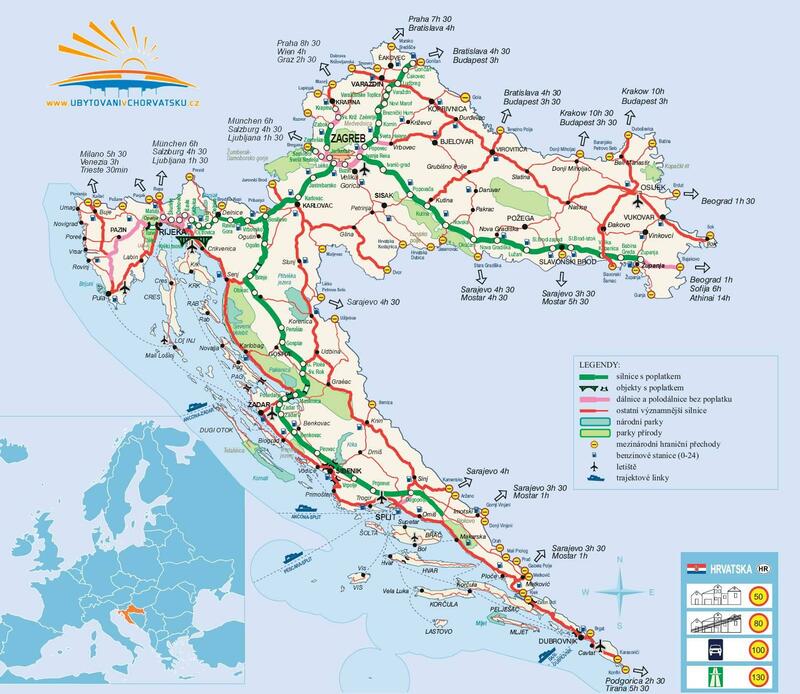 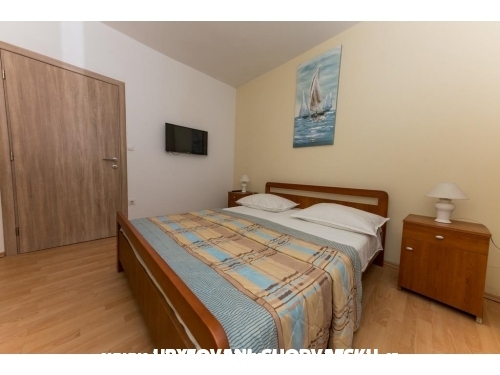 Apartments Mate are situated 20 meters from sea and beach in Vinisce, near Trogir. Apartments have parking for 8 cars and places for a few boats. 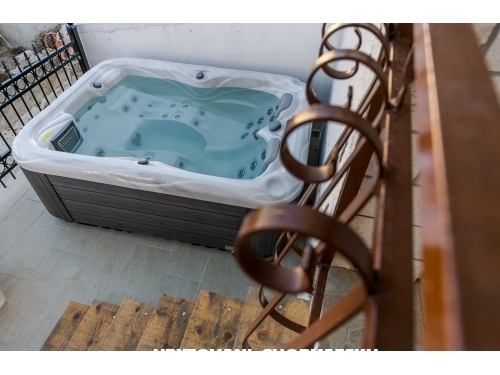 Apartment ( 7 ) First floor - Jacuzzi: 3 bedrooms, 2 bathrooms, kitchen with living room and big terrace with jacuzzi. 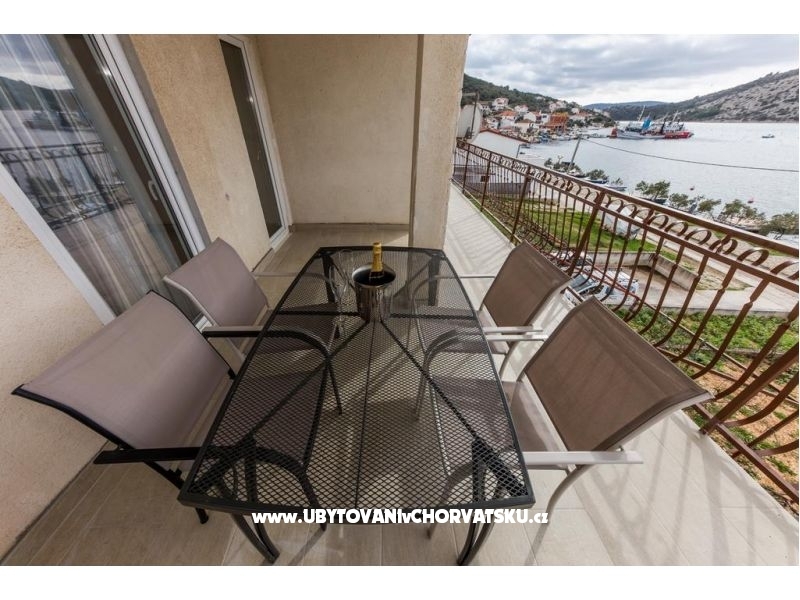 Apartment ( 5+1) Penthouse: 2 bedrooms, kitchen with living room, bathroom and big balcony. 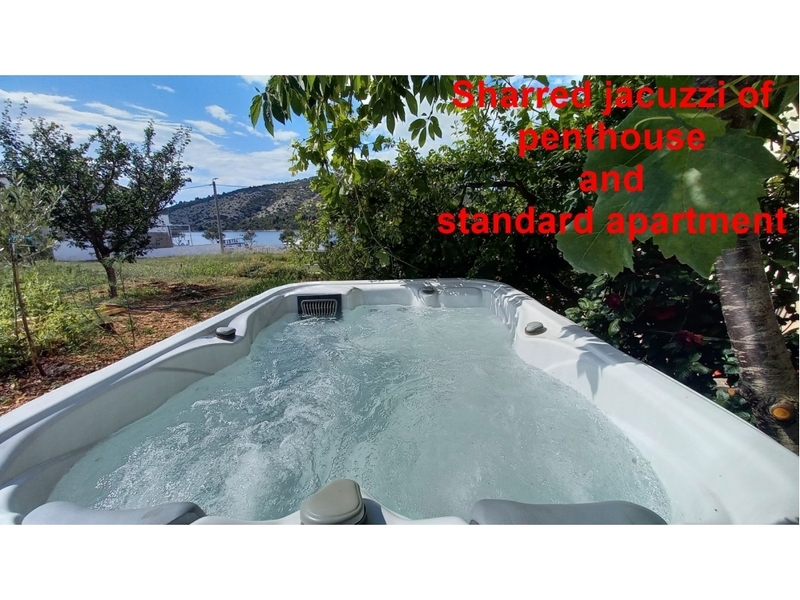 Apartment ( 4 ) with huge terrace and jacuzzi: 2 bedrooms, kitchen, bathroom and big terrace with jacuzzi. 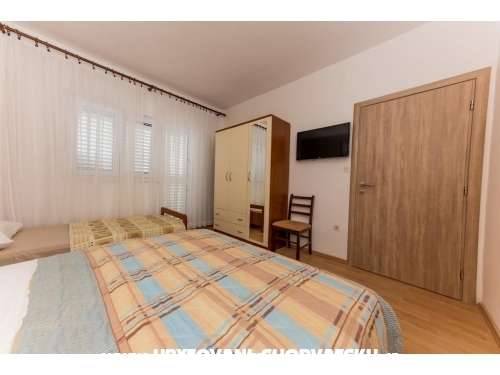 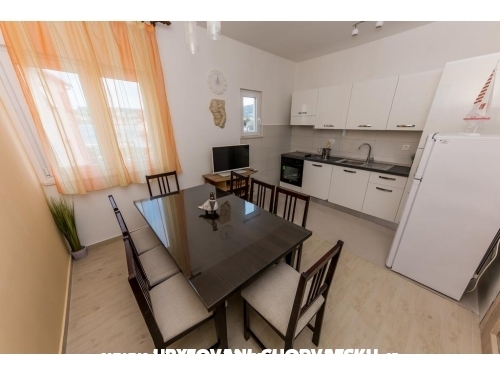 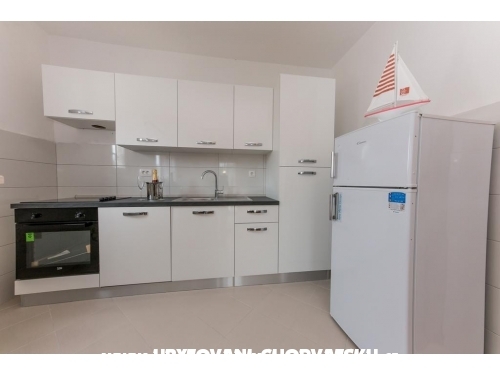 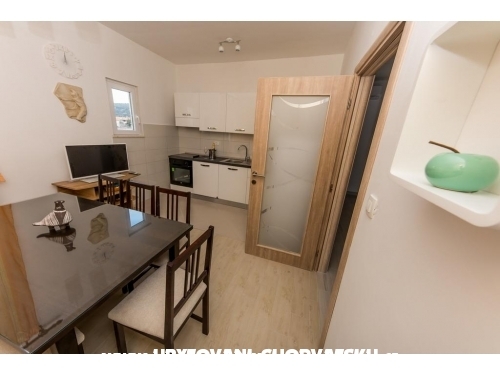 Apartment ( 2+2) Mali Donji: 2 bedrooms, bathroom, kitchen and balcony. 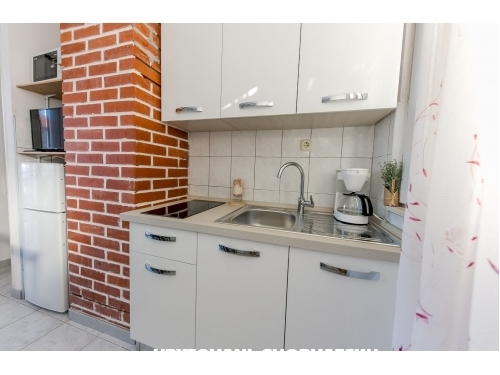 Apartment ( 4+1) Ground floor: 2 bedrooms, kitchen with living room and courtyard. 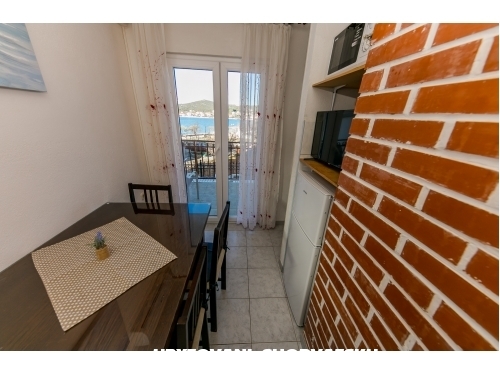 Accommodation reviews and comments for "Vila MATE"